Whether you're ready or not, self-driving cars are on their way. One car that gets close to being autonomous is the Mercedes-Benz S550 with its Distronic Plus with Steering Assist technology package. Consumer Reports tried to show what driving one of these is like on a special edition of their 'Talking Tech & Talking Cars' video podcast. When I watched the video below, I have to admit there were at least a couple of times I felt like a car crash was coming. But the S550 performed excellently. I can only imagine what Consumer Reports' Editor, Glenn Derene, and Director of Auto Testing, Jake Fisher (the one driving the car), must have felt like. The video shows how steep the learning curve might be for many drivers who step into a self-driving car for the first time. It will definitely take some getting used to. You will have to trust your car completely sometimes to keep you from crashing. 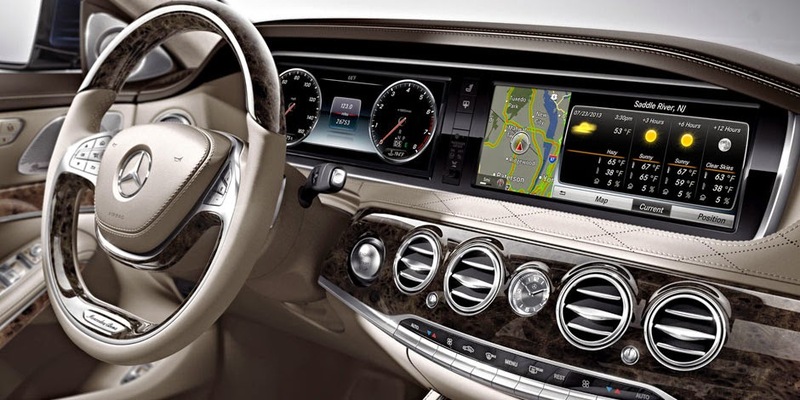 It is important to note that you can manually override almost all functions at any time in the S550. Also, how laws develop and change as more cars hit the street remains to be seen. Technology is great but should only be used as a guide. By the way, the Mercedes-Benz S550 will easily cost you over $100,000. You do get those two 12.3-inch LCD displays on the dashboard though :-) (along with a host of other advanced technology features).